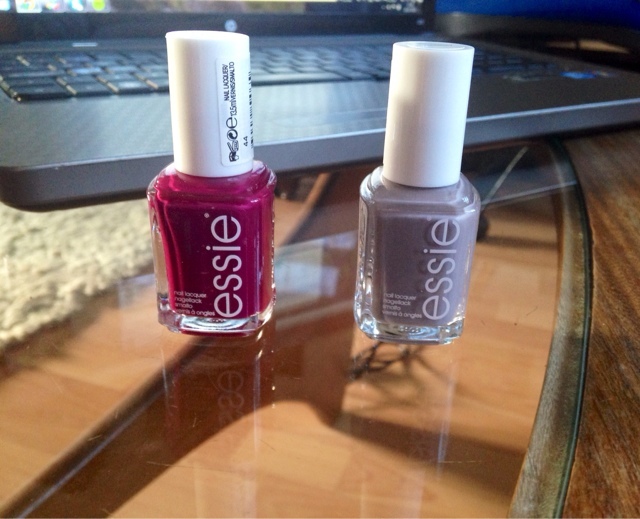 I featured these polishes on my mini make-up haul a couple of weeks ago, and I've finally got to try them! The shades are Chinchilly and Bahama Mama. The latter shade looks a lot more red in the photo than it does in reality. It's actually quite a light purple colour. 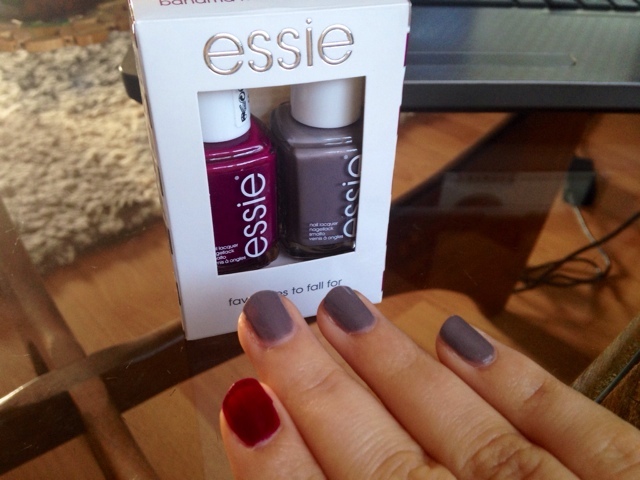 This favourites to fall for set is my first foray into Essie nail polishes. The pair cost £12.99, which is really good considering how much they usually cost. Bahama Mama is described as a warm, rich, creamy plum and Chinchilly is a sleek granite grey. I don't usually go for darker colours but I am loving Chinchilly on my nails. It's such a sophisticated colour - great for autumn. They are actually great autumnal colours, and I couldn't decide which one to use so I used both! I'll definitely be buying more Essie polishes in the future. I just hope these live up to expectation and don't chip very quickly. I guarantee I'll be using these shades frequently in the future!